From glycolic acid to salicylic acid, here at Beauty Bay HQ we love an acid and the benefits of their exfoliating, skin-clearing, glow-giving properties. The world of acids can be a bit overwhelming however, which is why we wrote this handy guide to explain exactly what each acid does. 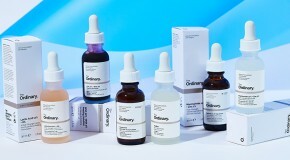 This month, there’s a new kid on the block from the brand that brings us our favourite affordable (and Instagrammable) skincare products, The Ordinary. Meet Mandelic Acid. 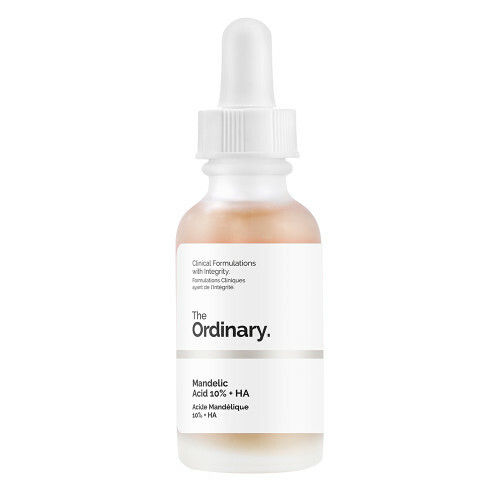 Mandelic acid is an AHA which, much like glycolic and lactic acids, exfoliates the skin by accelerating cell turnover to improve skin’s tone and texture. It’s a gentler alternative to other AHAs because its molecules are much bigger. This means they don’t penetrate the skin quite as deeply or quickly, so it’s slightly less effective but a much more suitable acid for sensitive skintypes. You’re less likely to experience the irrritation, redness, and flakiness that some acids trigger. Basically, if you’re new to acids, this is the best one to start with. 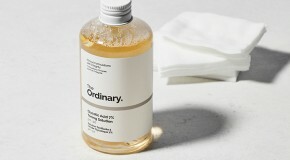 Apply mandelic acid as part of your evening skincare routine, after cleansing and before moisturising. Deliver it to the skin in small amounts using light patting motions that press the product into your skin. Allow it to absorb properly before applying moisturiser. What does mandelic acid do? Because mandelic acid is an antibacterial, it’s really helpful in treating existing acne and preventing future breakouts. It’s also oil-soluble, so it penetrates the skin’s surface and helps to regulate sebum production by keeping pores clear of clogging oils and dead skin cells that lead to breakouts and oily skin. Top tip: Combine mandelic acid with salicylic acid to treat cystic acne (the large, painful, under-the-skin breakouts that appear on your jaw and cheeks). Acne scars often leave behind pink and brown marks of pigmentation that can be hard to get rid of. Fortunately, mandelic acid is a key player when it comes to fading pigmentation and discolouration – it’s often used in professional chemical peels. Mandelic acid works by dissolving the dead skin cells on the surface of the skin. Each layer that dissolves fades the appearance of the mark until it completely disappears and is replaced by new, unscarred skin. Mandelic acid stimulates the production of collagen and elastin – two ingredients which naturally occur in skin and are responsible for keeping skin smooth and plump. As we age, production decreases – resulting in loose skin which easily creases and leads to the formation of wrinkles. When collagen and elastin are stimulated, skin appears more ‘plumped up’ which smooths out wrinkles so they look less obvious. Dead skin accumulates over time and clogs pores, causing skin to look dull and grey. Mandelic acid helps to dissolve the glue that holds the dead skin cells together. As they shed, fresh new skin cells take their place, causing skin to look brighter and more even in tone.